This templates is responsive email templates for corporate. it can use for anycreative segment. 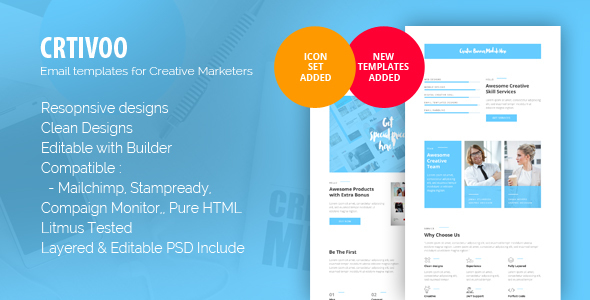 Layered psd file, editable, clean designs, well grouped, are include on this templates.